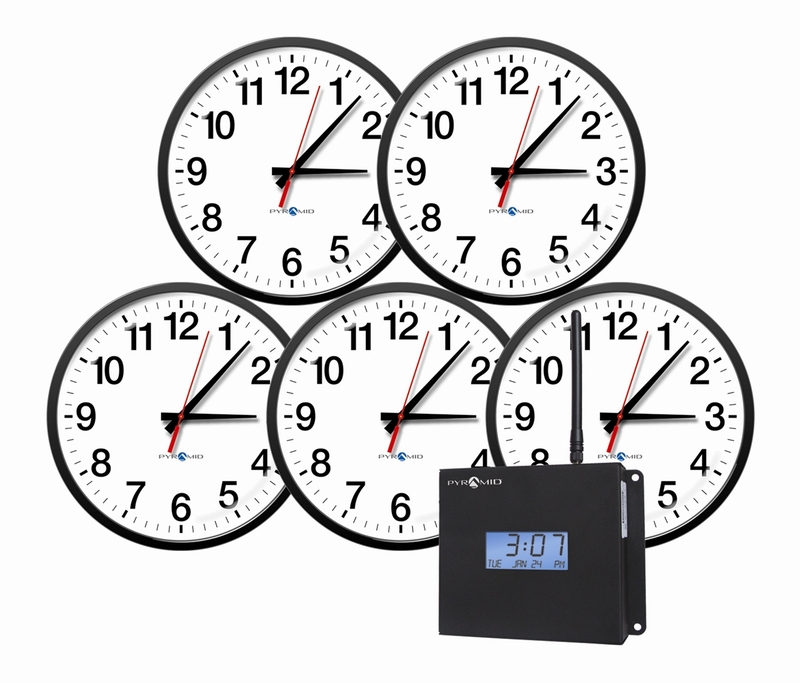 Includes (5) 13" analog clocks, transmitter, batteries, & software. 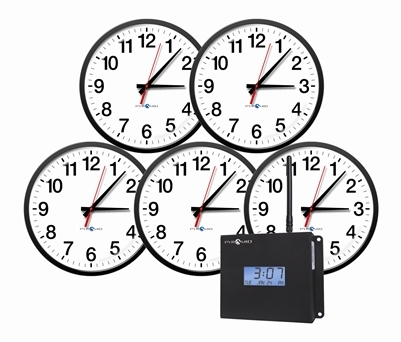 Sync your entire facility including networked computers to the same time. Up to 250,000 sq. ft. coverage (more upon request. Does not lose time during power outages.